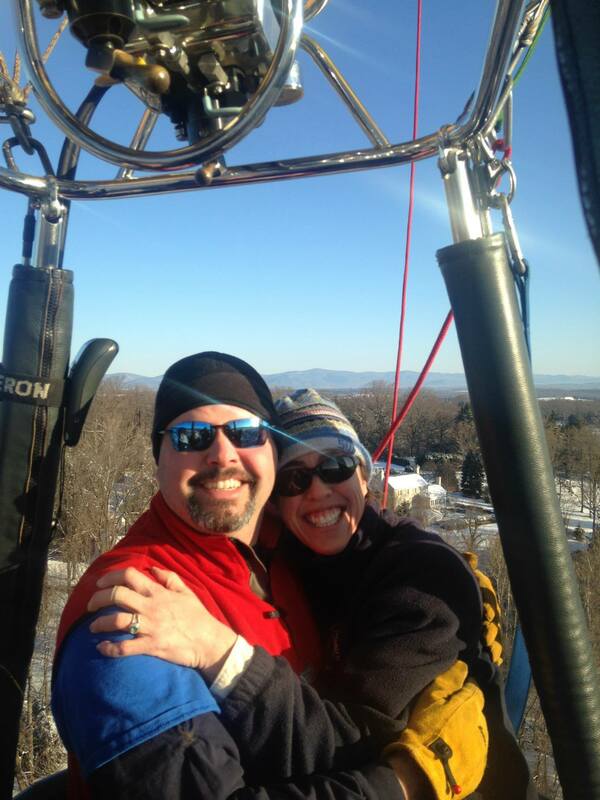 Mandy has been the owner, operator and chief pilot of Monticello Country Ballooning for going on 20 years, and she’s just as enthusiastic about flying as when she started. 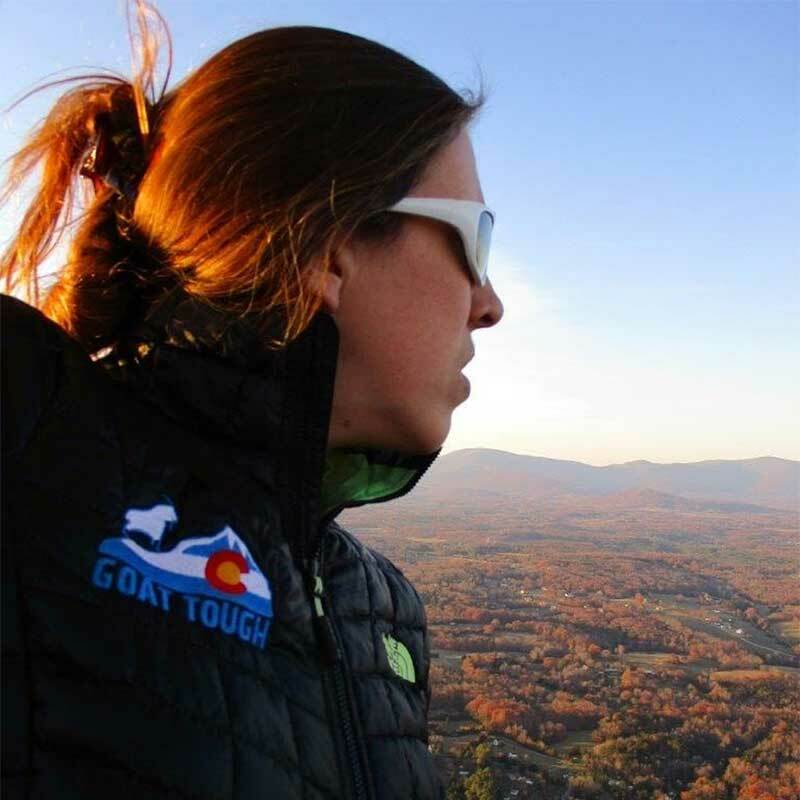 In addition to flying Mandy loves spending time with her daughter Alex, scuba diving, snowboarding, running obstacle course races, and eating all the food. 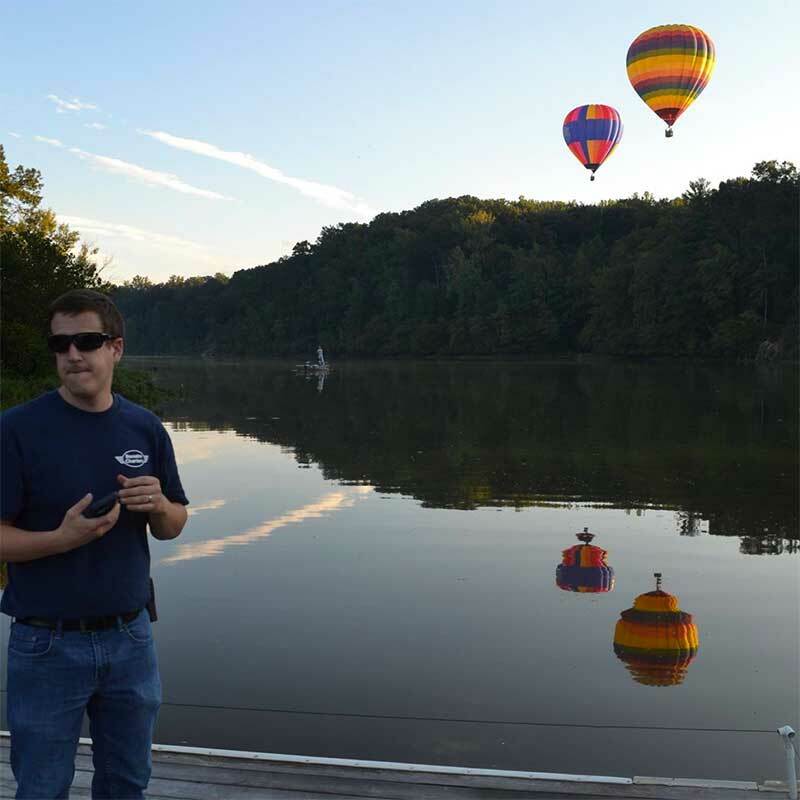 Kyle has been chasing for Monticello Country Ballooning for almost 15 years. Kyle started chasing with his Dad, Mr. Magic (aka Uncle Phil), 17 years ago when he was 13. He began chasing for us when he turned 20. Kyle is also a volunteer fire fighter with Albemarle County and a new dad! Not only does Kyle bring a high level of professionalism and safety focus to the job, he’s super fun too! During the off-season, Kyle enjoys spending time with his wife Emily and daughter Claire, and skiing with Mandy & Alex. Alex is Mandy’s daughter. She got about 100 flight hours in the womb and began flying with Mommy at four years old. 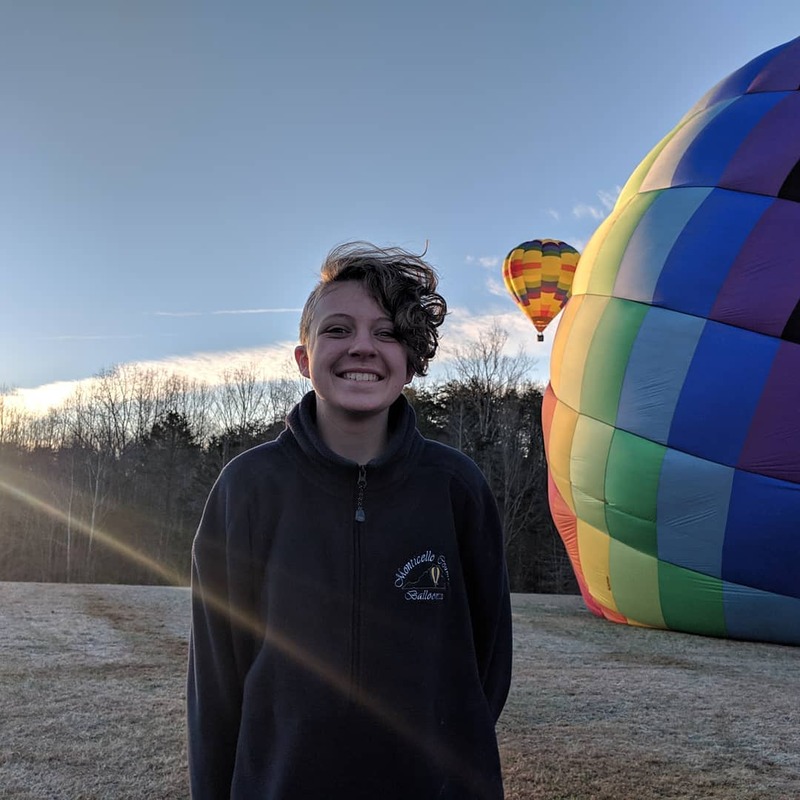 She enjoys helping out on the ground, as well as getting up for an occasional “altitude adjustment.” Alex has moved into a more official position of junior chase crew the last few years. She enjoys scuba diving and skiing with Mom, photography, singing and plays on a travel volleyball team. Dave loves flying more than any one we have ever met. Maybe even more than Mandy. Ask our passengers, Dave usually does the moonwalk after he lands. Dave works full-time for Tiger Fuel, so nobody knows more about propane than Dave. When not working, Dave enjoys spending time with his wife Sheri, going to the track and floating down the river.